Trinity Lake is the third largest lake in California with 16,000 surface acres and 145 miles of shoreline and a short drive from Redding. The lake’s irregular shoreline creates three separate arms with many secluded tree-lined coves that are perfect for an afternoon of sunbathing or a family picnic. Due to the expanse of the open water, the pleasant weather and surroundings, Trinity Lake entices water sports enthusiasts from across the United States. Experience the serenity of the lake hidden away in one of the many tree-laden coves. Plus boaters enjoy a much less crowded Trinity Lake compared to Shasta Lake. Whether you go back in time to the Gold Rush era to experience the excitement of panning for a nugget or two or cast a line for trout or kokanee salmon in the cool waters of Trinity Lake, recreational enthusiasts will satisfy their love of the outdoors with the many things to do in the Shasta Trinity National Forest. Be sure to bring along your binoculars. 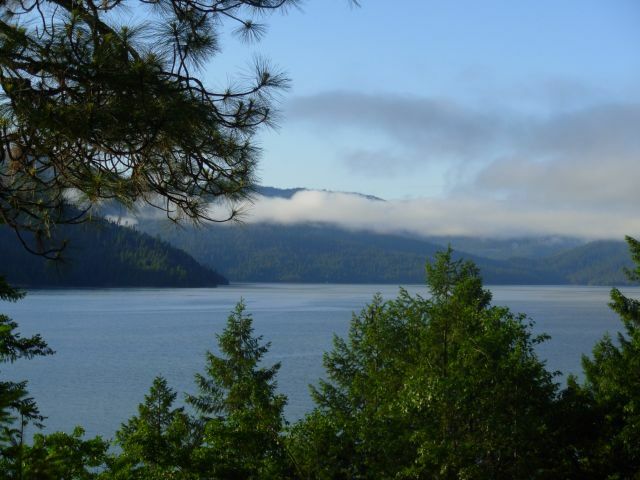 Trinity Lake has spectacular wildlife and is host to osprey, golden eagle, bald eagle, quail, bobcat and black bear. Those who love the outdoors agree Trinity Lake is one of the prettiest wilderness areas in America. Trinity Lake is a haven for water sport enthusiasts. Water skiers thrive on skimming over mile after mile of deep blue smooth water. Trinity Lake is recognized as one of the state’s top bass and trout fishing destination and continues to provide excellent fishing for catfish, kokanee salmon, bass and trout. It’s a perfect location for houseboating. Sit back, relax and enjoy the serenity, while the kids play games and have fun on the water slide. Be the first to waterski or tube on the early morning glass or cast your line for a little trout fishing. Escape from the rest of the world where the surroundings are second to none. Snow capped peaks frame this pristine mountain lake in the majestic Trinity Alps. Eagles soar above the treetops swooping down to catch fish right out of the lake, surrounded by Shasta-Trinity National Forest. Come and discover for yourself one of the finest family destinations in the country.